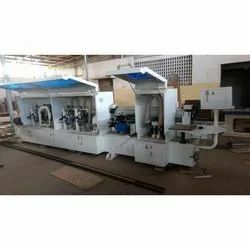 Offering you a complete choice of products which include ri-909 manual edge banding machine, ri-526d semi automatic edge banding machine, ri-450d full automatic edge banding machine, ri-528e full automatic edge banding machine, ri-610 full automatic edge banding machine and ri-528a full automatic edge banding machine. We are offering RI-909 Manual Edge Banding Machine. 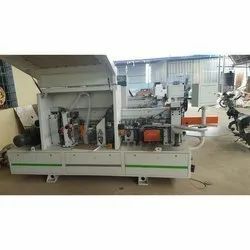 Edge Banding Machine is used to cover the exposed sides of materials such as plywood, particle board or MDF, increasing durability and giving the appearance of a solid or more valuable material. Common substitutes for edge banding include face frames or molding. Edge banding can be made of different materials including PVC, ABS, acrylic, melamine, wood or wood veneer. The machine that applies the edge banding is called edge bander or edge banding machine. An Edge Bander Machine bonds the edge banding to the substrate, trims the leading and trailing edges, trims top and bottom flush with the substrate, scraps any surplus, and buffs the finished edge. 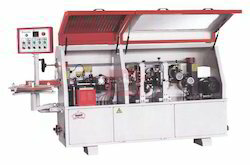 We are offering RI-526D Semi Automatic Edge Banding Machine. We are offering RI-450D Full Automatic Edge Banding Machine. Using imported quality engines and electronic components. Serialized products, a wide range of selection by customer. 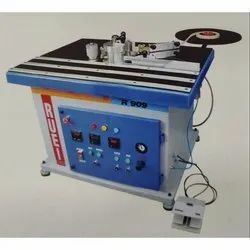 We are offering RI-528E Full Automatic Edge Banding Machine. We are offering RI-610 Full Automatic Edge Banding Machine. We are offering RI-528A Full Automatic Edge Banding Machine.